When War for the Planet of the Apes ended, I was unable to move. Glued to my seat, I sat dumbfounded at the achievement I’d just witnessed: an exquisitely filmed, emotionally stunning film that challenges what a big-budget, summer blockbuster is supposed to be. And it’s about a planet of apes. The crazy thing is, the movie makes this look easy. The story isn’t overly complex. But each character has their own role and arc, the relationships are important, set pieces have consequences beyond just spectacle, and character drives story instead of the other way around. The film does everything a great movie should do. It just happens to do it with walking, talking apes created by the breathtaking work of innumerable people, from the fantastic VFX artists of Weta Digital to the human actors underneath the CG—actors you can sense beneath the digital skin of every single ape in the movie, giving each moment, human and ape, a personal touch. 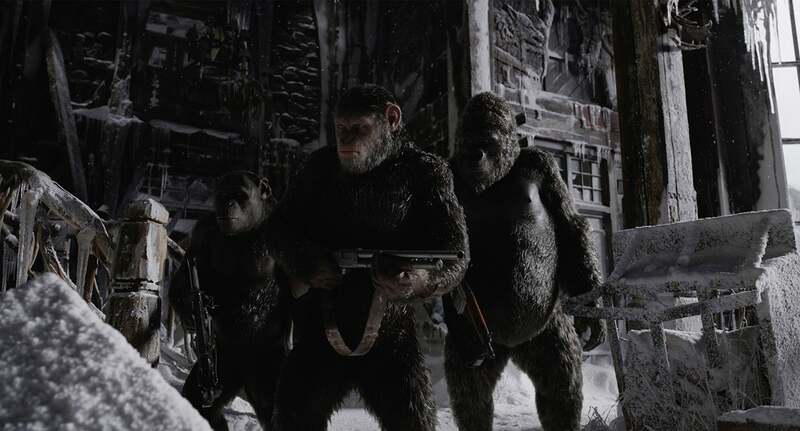 Set two years after the end of Dawn of the Planet of the Apes, Caesar (Andy Serkis) and his apes have spent that time battling the soldiers called at the end of that film. However, just when they may finally have a way out, an evil colonel (Woody Harrelson) makes his final play to defeat the apes and Caesar must overcome the challenge. But make no mistake: Despite its simple story, War for the Planet of the Apes is not a regular summer blockbuster. It’s not fun. It’s bleak. film. Characters die, suffer and get tortured. The film invokes genocide, slavery, and humanity at its most heinous. But there’s also hope, selflessness, heroism, and all the good things that allow people—or in this case, apes—to survive and overcome these atrocities. At the centre of this all is Caesar, once again masterfully played by Andy Serkis. In War for the Planet of the Apes, we get to see a different side of this character we’ve now followed for three movies: the bad side. It’s his selfishness that leads to many of the film’s problems, and it’s become much harder to side with him. as the story moves along, the audience doesn’t always side with him. The film wants you to question how different he is from the Colonel. It’s one of the many complexities explored throughout the film. Those complexities are handled brilliantly by director Matt Reeves. From the opening shot, which recaps the first two films in a succinct, poetic way, he’s in total control of the the film’s tone, pathos, character, and story. 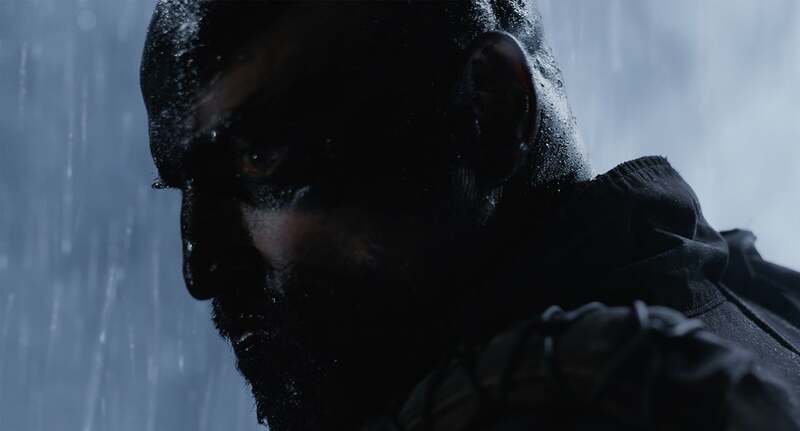 His precision is remarkable: He handles the quiet scenes with the same precision as the giant action scenes, , but he can also make you scared of your mind just as effortlessly. He seeds exposition subtly and organically into scenes, but in others he can tell you everything you need without saying a single word. Lots of Reeves’ success comes from liberal use of a dynamic score by Michael Giacchino. It’s a wide-ranging composition that brings a true cohesion to the film. The movie moves very quickly, but the music helps everything feels cohesive, propulsive and poignant. Again, the film is not fun, but that’s fine. It’s not supposed to be. War for the Planet of the Apes is supposed to make us feel. Make us hurt. Make us rejoice. And it does that in big, sweeping ways with some of the most stunning visual effects you’ve ever seen. It’s a special movie, an amazing sequel, and undoubtedly one of the year’s best films. War for the Planet of the Apes opens July 14th.